The properties of stones and healing crystals within the alphabetical section for stones beginning with T is the subject of this article. 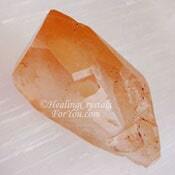 There is a photo grid below, and it contains images of all of the crystals in this specific segment of the alphabet. 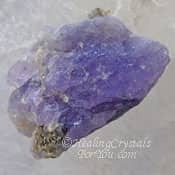 There are a large number of healing crystals for you to learn about on this site and while some crystals and stones have had an individual page written about them not all have. For those that have not yet had their specific page written, there is a paragraph further down the page below the picture grids with information about the most important attributes of the crystal. A good number of stones have had a detailed article written about them and you will know if this is the case as their name will be highlighted with a link. If you feel you'd like to know more you can go to the full article simply by clicking on the link, which will take you to that particular page. Want to read more about stones beginning with T? 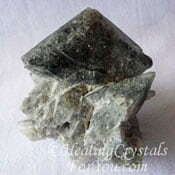 You can check out if a crystal or stone is written about on this site by using the site-map page, link at the bottom of this page. 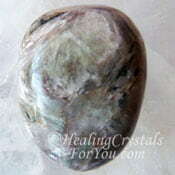 Taaffeite is a fairly uncommon stone that have an excellent vibration to aid meditation. 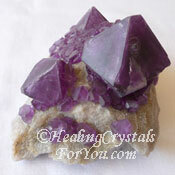 Used during meditation, they may stimulate the crown chakra and assist the attainment of deep silence. The energy of these crystals may amplify loving feelings towards others, via a deep action within the heart chakra to improve connections with other people in your life. They help to revitalize personal relationships and kindle more loving, and heartfelt connections with those with whom you are associated. They may aid health issues related to problems with iron in the blood and may help to improve the acid and alkaline balance in the body. 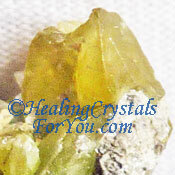 They are also helpful healing stones if you have issues with intestinal parasites. The properties of stones like these concern your ability to have an understanding of the contrast between the two concepts of negative and positive thinking in your life. 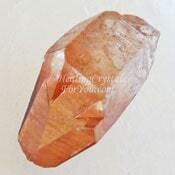 Tangerine Quartz has a joyful vibration that may be helpful to intensify your creativity and to stimulate inspired thought. The properties of stones that are orange often relates to their action within the sacral chakra, and these crystals commonly will aid the health of that area. This chakra governs sexuality and passion for life and their energy may help to revitalize your relationship. As they are one of the quartz crystals, they are easy to program, and if you wish to accentuate any of its natural characteristics, you may choose to program it to enhance creative endeavors. This can be helpful if your work entails the need for inspired or creative thought. 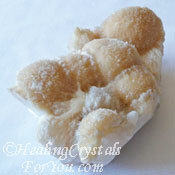 Read about how to program your crystals, in the article on crystal meditation. Tanzan Aura Quartz is also known as Tanzine Aura or Indigo Quartz. This is clear quartz crystal that has had the surfaces bonded with a mixture of vaporized metals such as Gold, Indium, Niobium and other trace minerals. This is an artificial process and many people dislike how this is done and will not use them. 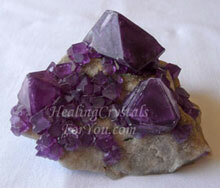 Yet I feel that these crystals do have helpful energy to aid you in a number of ways. The properties of stones that have had their color changed is different to the metaphysical properties of the clear quartz crystals they are made from. 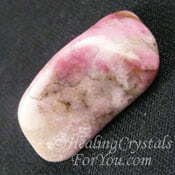 This process does affect how you may be helped by this stone's energy. The minerals that have been bonded to the quartz have specific properties and this relates to how they will affect you. These crystals have a high vibration, that can be felt within the third eye, crown and soul star chakra and will aid your spiritual growth. Their metaphysical properties strongly relate to the development of psychic communication and other psychic abilities such as mediumship and channeling. 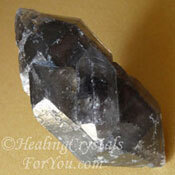 Thenardite is a quite strange looking crystal, with a number of good healing attributes. It aids you to release toxins, and is said to be helpful to cleanse darkness from your aura, and is known as a treatment to use for Alzheimer's disease. 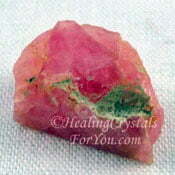 It resonates within the base chakra, and aids you to think more clearly. It assists you to keep appointments, as it helps to improve your memory about where you need to be and when. It may help you to make changes in your life, and to discover what you need to do in life. 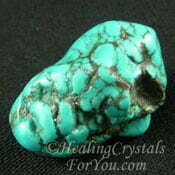 The properties of stones like these relates to its action to help you to be less sensitive to your surroundings. It is also said to help you to let go of feelings of ill humor and surliness. Thenardite is especially useful to use when you think that you have already utilized all possible means, and courses of action to solve your problem. It helps you to better understand the difference between what you 'want' and what you 'need', very important and different states of mind. Thomsonite crystals are part of the zeolite family, and the properties of stones like these have a lot in common with other zeolites. In particular they are helpful to assist the removal of toxins from the body. Other attributes of Thomsonite include their action to unite your emotions with your thinking. It may aid clarity of thought, and help you if you are suffering from brain fog. Tibetan Black Quartz are high vibration double terminated quartz crystals from the mountains of Tibet, where Buddhist monasteries have been located for a very long time. The area where they originate from, is one of the most sacred regions of the planet. 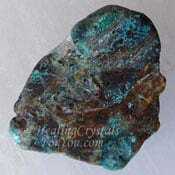 The properties of stones from this area reflect this energy, and these stones embody this sacred energy within them. 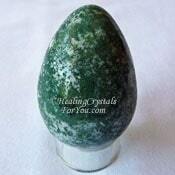 They are powerful stones for spiritual or psychic protection as they create a bubble of light around your body. 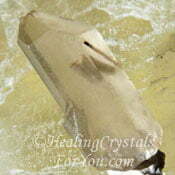 This ensures that you are protected from psychic attack and from negative entities. 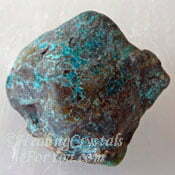 They are powerful stones for spiritual growth and are known to activate the third eye. They are very effective used in meditation, as they help you to reach a state of relaxed inner awareness, without being so relaxed you will fall asleep. They will create a state where you can make contact with beings from the spiritual realms. They seem to vibrate with a beat that takes you to a place that seems very ancient, possibly from the deep past of the planet. 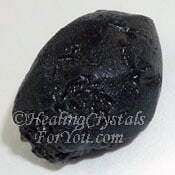 Tibetan Tektite is a strong stone, and you may benefit by carrying it on you, as it may accelerate the vibrational energy within your auric field. 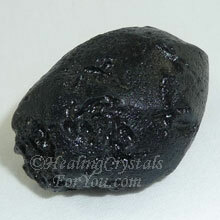 It a very dark stone almost black and it is a form of meteoric glass. It is one of the high vibration stones. 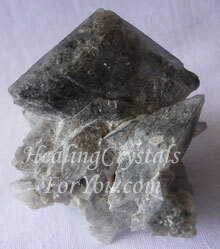 For best results, it is recommended to be used in conjunction with others in the group of high vibration stones. The properties of stones like these is associated with the area of the world where they come from, as this area has had a strong spiritual energy for many hundreds of years. 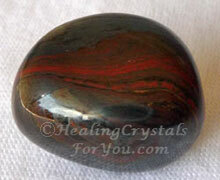 Tiger Iron is a mixture of Red Jasper, Tigers Eye and Hematite, and it is also sold as Mugglestone. The properties of stones like these may help you to feel better physically, as they bring through a strong healing energy to aid endurance and strength. The meaning of crystals like these tell us that they are good for enhancing creativity, as this stone has a good energy within the sacral chakra. 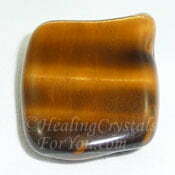 Tiger Iron have a strong spiritual grounding action and may be helpful if you have been doing a lot of spiritual work and feel spacy and not with it. 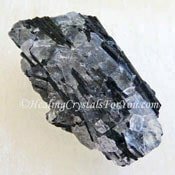 These crystals help you to release excess energy into the earth and allow spiritual energy to flow back to you as required. 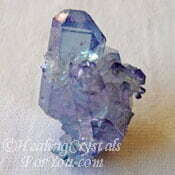 Topaz may be clear, pink, golden or blue. The properties of stones of each color vary quite a bit. 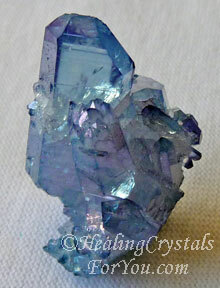 Blue Topaz stones resonate within the throat chakra. 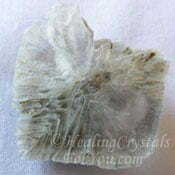 They may help you to manifest better communication abilities, including personal spiritual communication. 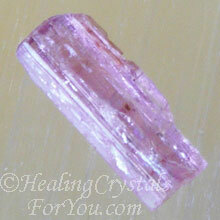 Pink Topaz is a less common color, and has a lovely heart based energy, that is helpful for emotional healing. 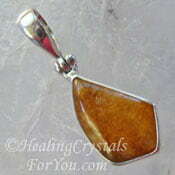 The yellow or Golden Topaz is a stone of manifestation, of personal desires through the will. 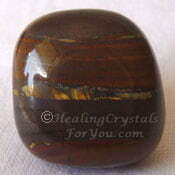 Depending on what your predominant mental attitude is, you may manifest many things using this stones energy. 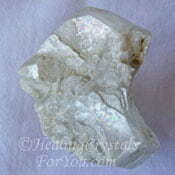 Silver Topaz or White Topaz are the names used for the clear colorless Topaz. 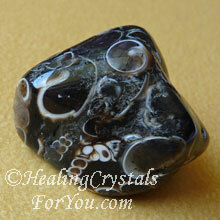 This stone aids you with deciphering your intentions and aligning them with Divine will. 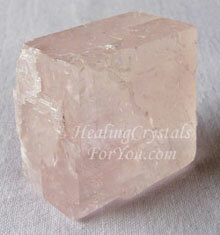 Transparent Pink Calcite is a beautiful transparent pink variety of Calcite. 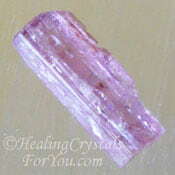 It can be peachy pink in color, or a clear medium pink like the specimen shown here. The crystal meanings of the transparent pink calcite predominantly pertain to healing on the spiritual and emotional level rather than the physical level. These crystals are quite powerful to use in meditation, as they may aid you to connect with the energy of Kwan Yin, the goddess of mercy, and they can elevate feelings of joy, compassion and deep love. 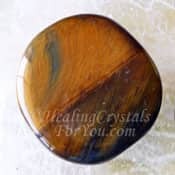 The properties of stones like these relates to the way its vibration will help you to feel a more profound level of compassion within your life. They have a strong healing energy on the emotional level, and they resonate within the heart chakra as well as vibrating strongly within the higher heart or thymus chakra, the chakra that relates to feelings of compassion and forgiveness towards others. Treasure Agate is the name given to a stone that was discovered fairly recently in just one location in Arizona USA, but note it isn't actually an agate. It is a lovely mixture of a large number of minerals, and these include precious metals such as gold and platinum along with minerals including Cuprite and silica. Pieces occur in a range of colors depending on the specimen, and while my piece has spots of gold clearly visible, along with deep brown and lovely blue colors, some pieces are known to also contain silver and red inclusions. These stones have a really lovely vibration, and it is quite high vibration unlike anything else, as the mix of minerals is so unusual. 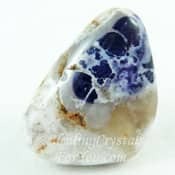 Treasure Agate are beautiful used in meditation and they will assist you to take a spiritual journey to discover more about why you are here. This may help you to become aware of karmic blockages that may need releasing. 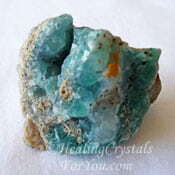 The properties of these stones, like many blue stones, also relate to their strong energy within the throat chakra. Their vibration may assist you to communicate with ease and grace, assisting you to be able to speak out about issues that are concerning you. Its energy can also be felt within the heart and higher heart, and it may help you to discover what is holding you back from achieving your goals, and to persist with working to attain your vision. As it is from only one location it is not a common stone. But if you would like to obtain some, please check out Treasure Agate at Exquisite Crystals as they have had pieces of it selling. Tree Agate is a lovely heart based stone to help you to make a stronger connection with the plant kingdom and the natural world. A variety of Dendritic Agate, Tree Agates will help you to feel safer at times when you may feel challenged. It is a protective stone that boosts energy and vitality and they are good to use to strengthen the bonds between members of the family. The properties of these stones relate to how they help you to feel tranquil and composed, when things go wrong, and they may boost your self confidence at these times. They have a good healing energy and can help your body to heal from a range of health issues, including helping to increase fertility. It is beneficial to wear them on the body for that purpose. Tschermigite is an extremely rare stone, so rare that most pieces sold, like this one, are in fact man-made in a laboratory. But regardless of that something about this stone attracted me. 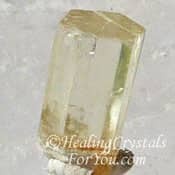 This crystal is known as a strongly supportive stone for spiritual workers, and it resonates quite strongly at the crown and third eye chakras. 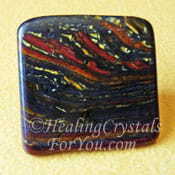 It is known as a stone to aid channeling, and works well in a group situation. 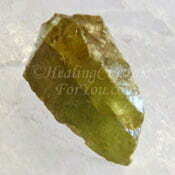 This energy helps you to make contact with beings in the higher realms as well as with the angels. The properties of stones like this that naturally occur are hard to know, as there has been so few naturally occurring pieces found. 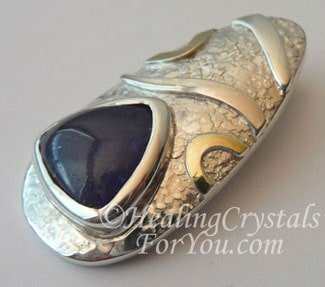 This piece has a quite beautiful crystal structure, with a lovely deep purple color which I really love. Tubed Quartz are interesting crystals as they are quartz where hollow tubes have formed in the stone. Analysis of these tubes, have told us that they originally contained Epidote, and this dissolved over the life of the crystals leaving the hollow tubes. These crystals are excellent healing stones that align the meridians as well as opening the chakras and cleansing the aura. 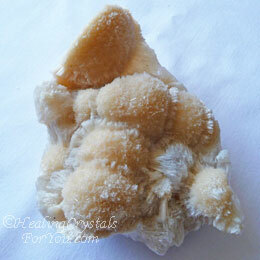 This quartz variety aids connections, and it may help you to make contact with special people, and may help you to maintain the connection with that person. 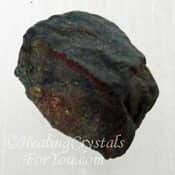 The properties of stones like these are known about by past life healers, who use them when doing regressions, to aid the person being regressed to see the past while at the same time assisting you to keep a strong connection to your present life. 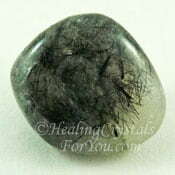 Tunellite crystals aids cord cutting helps to remove cords that connect you to others, and in particular those that others have sent to you. 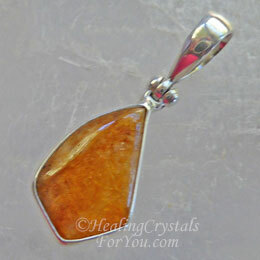 This crystal also helps you to bring back cords you have connected to others. You don't need to do anything to achieve this, as just having it on you will cause it to happen. If used during astral travel it will strengthen the silver cord that connects you back. The properties of stones such as these relates to its action to aid the skin. 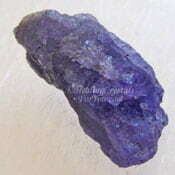 Keeping this crystal on your body refines your skin, and in particular helps improve wrinkles and the tone of the skin. Tunellite also has an action that stimulates beta brain waves, and this is helpful to enhance your creativity, including heightening creative thought. As well it can enhance telekinetic abilities, levitation and the ability to read auras. Turritella Agate has excellent healing qualities and is especially helpful to aid health issues related to aging, such as varicose veins, gallstones and digestive problems. 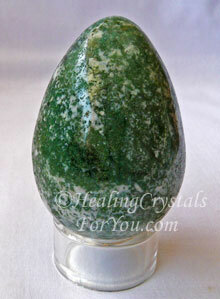 For anyone who has fertility issues, this stone is also helpful to aid conception. 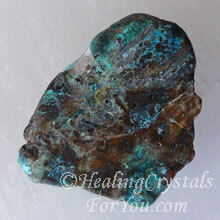 The properties of stones like these also relate to helping you to let go of emotional problems based in the past. It may be especially helpful where you have been unable to forgive the actions of someone else. If you feel like you are always the victim, it may assist you to release buried emotions that have been holding you back, and may aid the healing of health issues that are related to events based in the past. If you are looking for information about a special stone or subject that you feel may be on this site, visit the site-map page... see link below to find it more quickly.